There are significant moments in each person’s life that deserve to be captured, and Come and Take It Photography is passionate about capturing these moments. 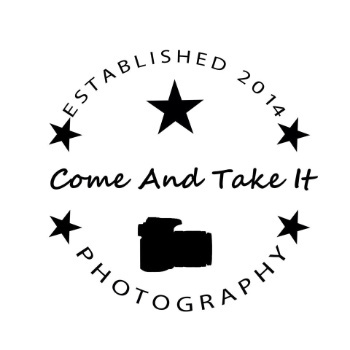 At Come and Take It Photography we specialize in creating high quality custom art work and telling your story, capturing your historical moments. As professional photographers every moment in time that we capture is created with the upmost attention to detail, thus ensuring beautiful and unique pieces that can be cherished for generations to come. A beautiful day deserves to be captured beautifully. As photographers for more than 15 years we can capture the beauty and romance of YOUR special day. Destination weddings packages available on request. Whether you would like a classic studio look or family portraits in a field of Texas Bluebonnets we can turn your family portrait into beautiful artwork. Offering on site family portraits in Houston, The Woodlands, and College Station, Texas. Whether you are a Senior in High School or College we can capture your historic milestone and create amazing artworkto remember it by. Your First Impression to you clients is very important, whether it is you or your products we can help you put forth your best appearance and make you look like the top of your profession. We are available for onsite headshots, commercial products, corporate events and all your business needs. A word of Warning....Be Careful who you hire. These days, photography is practiced by anyone with a smartphone or camera but it's mastered by few. When it comes to those once-in-a-lifetime moments, be sure to hire someone that understands how to capture the image. There are times, as photographers, we have only one shot at getting it right, you better make sure the person behind the camera is a pro. A proven professional photographer that is.